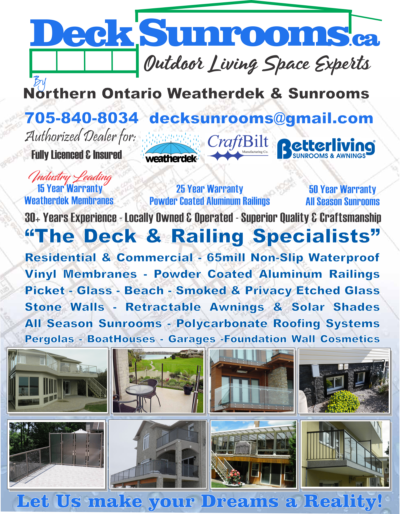 Northern Ontario Weatherdek and Sunrooms, was one of our original clients from Sphere Media. Having such a long business name, Effective Marketing created a new brand under Decksunrooms.ca. This clean and shortened brand quickly took the internet by storm. With them Specializing in Maintenance Free Decks and Sunrooms, the name says it all. Treating it a new business, under an old name, Effective Marketing had to start from the ground up. in 2012, Sphere Media, know known as Effective Marketing, had to create a web presence for Northern Ontario Weatherdek and Sunrooms. We put our heads together and came up with a web version name of the company. We decided on www.decksunrooms.ca. Then our graphics team and content writers went to work to develop the site. Starting from scratch and building their first web presence, we knew that it had to contain a lot of information, with an easy to navigate menu. The high definition photo galleries were an essential part of the site, to show the quality craftsmanship that they offered. Originally created we created the site with the Content Management System (CMS), Joomla, and recently converted to a WordPress site. Northern Ontario Weatherdek and Sunrooms was a mouthful and hard to remember or spell. Creating a brand that was easily remembered was our goal. With Decks and Sunrooms as their main services provided, it was the logical and simplest form of their long business name. 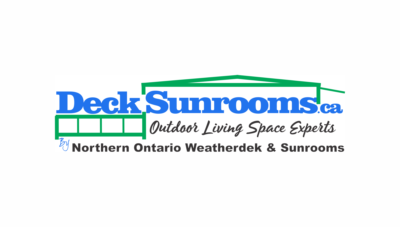 Northern Ontario Weatherdek and Sunrooms were extremely pleased with our web presence creation. Having a web presence was a very positive factor on sales and getting their name out to potential customers. Having high quality images and easy navigational system put them in the spotlight to convince people to chose Decksunrooms as their contractor.